Let's Cooking! This is my review of Kira Kira Precure episode 29 and Yukari is upset that Akira is paying attention to others rather her. The Good: I have really nothing good to say other than Cure Chocolat carrying Cure Macaron princess style. The Bad: I felt Yukari is kinda of inconsiderate since she has a thing for Akira who is oblivious of her feelings and was thinking that Akira has never consider her feelings. To be honest, Akira is just a nice and helpful person. 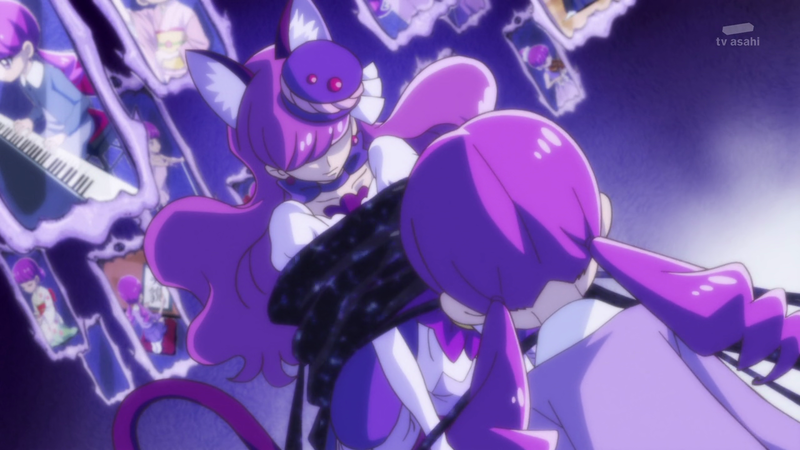 Furthermore Yukari never express her feelings to Akira and she decided to went head on into Elysio's trap. 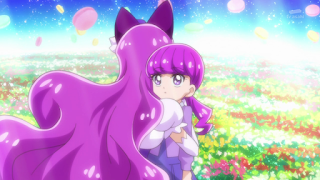 I find that Yukari's inner child is just making her accept that she is a lonely person which she did accepted but she accepted the friendship with everyone else which I think it is kinda of making things too easy to resolve. 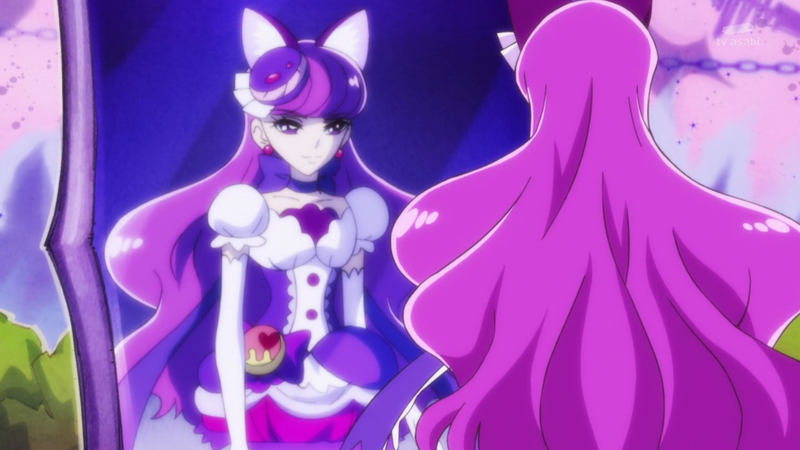 After the battle, Yukari just accepted the status quo between her and Akira as if nothing happened before. 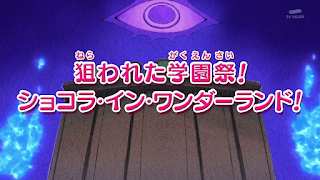 I felt the resolution is too cliched for a Precure show and will rather have Yukari fell into darkness with the others falling it too but no, this is not a midnight anime show so screw that idea! Overall, Yukari is just not interesting since she bottle everything up and behave like a spoil kid. 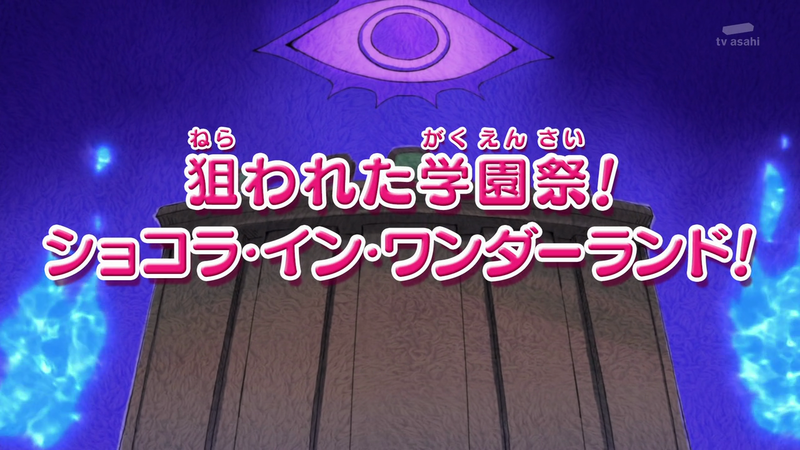 You can tell I don't have much to say for this episode since the current arc is basically getting the girls to accept their weakness for their next power up. 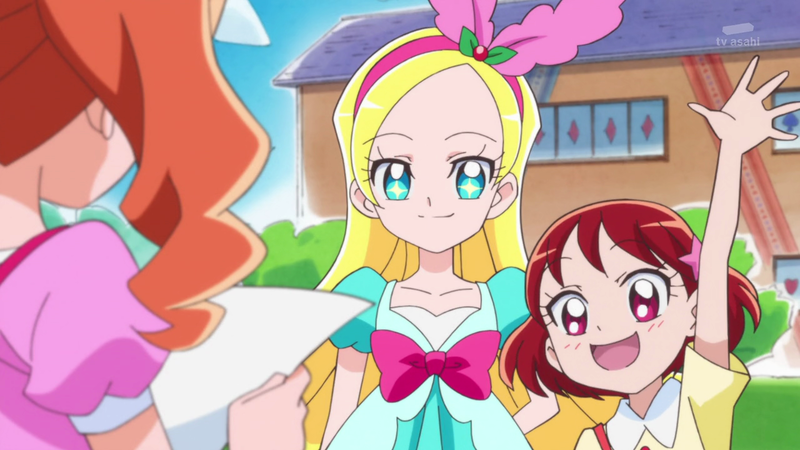 Compare to previous seasons where the trial of getting their next form is more emotional and over the top, (Smile Precure did this part very well when they got their Ultra Form) it has been so far a snooze fest. Next is Akira's turn and her sister Miku returned. 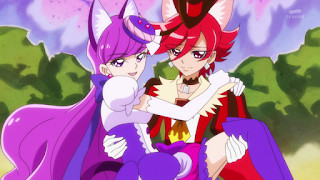 Elysio tried again to lure Akira into a trap with Miku as bait. Until then, see you in the next post!